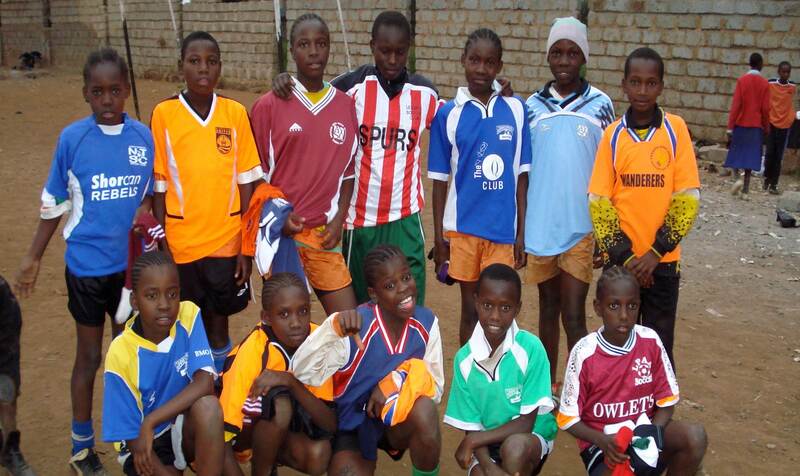 Using sports to teach healthy life choices and promote peace across gender and ethnic divides in Kibera. Thousands of boys and girls participate in CFK’s annual soccer tournament. Ethnic diversity is a requirement. To play in the tournament, each team must include youth of different tribes . Players learn teamwork and form strong friendships across ethnic lines. Tournament players further demonstrate commitment to community service by participating in trash clean-ups. In addition to practices and tournaments, the Caught Offside initiative uses soccer as a venue to discuss reproductive health. Youth educators talk to players and game spectators about HIV/AIDS prevention in a casual, non-threatening environment.